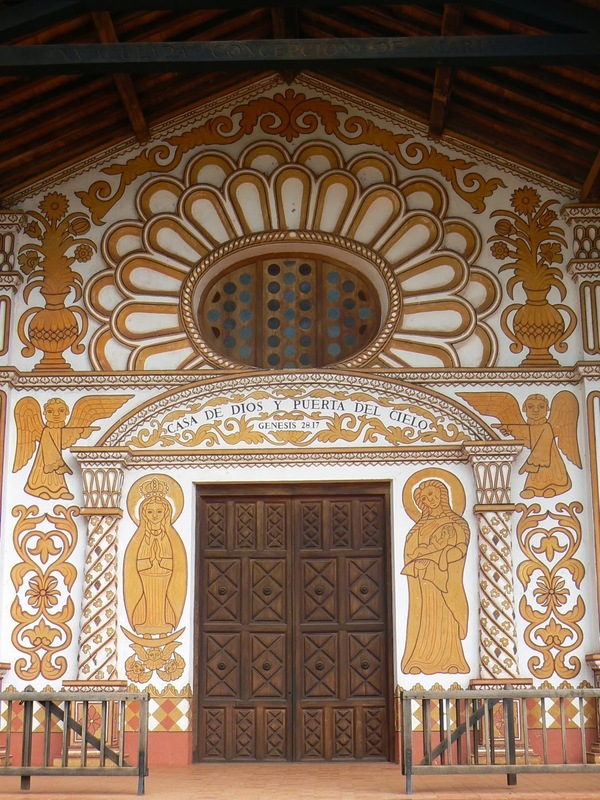 The Jesuit Missions of Chiquitos are located in Santa Cruz department in eastern Bolivia. Six of these former missions (all now secular municipalities) collectively were designated as a UNESCO World Heritage Site in 1990. Distinguished by a unique fusion of European and Amerindian cultural influences, the missions were founded as reductions or reducciones de indios byJesuits in the 17th and 18th centuries to convert local tribes to Christianity. The interior region bordering Spanish and Portuguese territories in South America was largely unexplored at the end of the 17th century. Dispatched by the Spanish Crown, Jesuits explored and founded eleven settlements in 76 years in the remote Chiquitania – then known as Chiquitos – on the frontier of Spanish America. 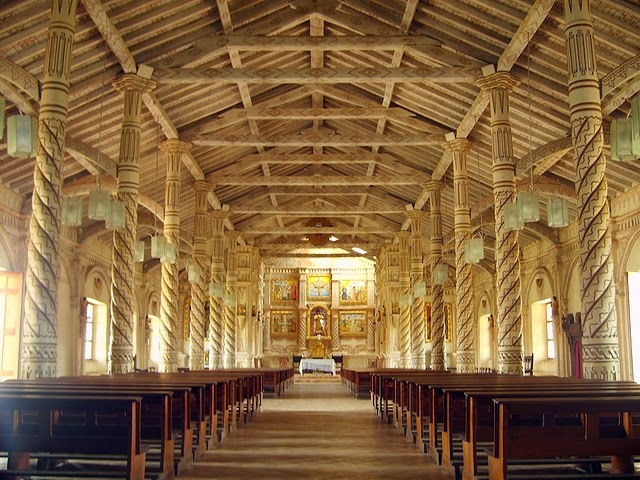 They built churches (templos) in a unique and distinct style that combined elements of native and European architecture. The indigenous inhabitants of the missions were taught European music as a means of conversion. The missions were self-sufficient, with thriving economies, and virtually autonomous from the Spanish crown.